← FanstRAvaganza Day 5 – Who was your first? 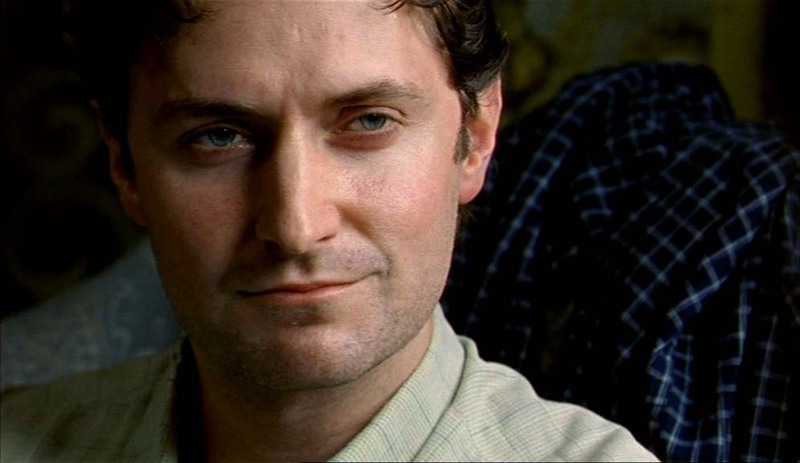 While he could be considered a “doormat” who allowed himself to be taken advantage of, in the hands of Richard Armitage we see much more depth. Although the story is a serious drama, I decided to have a little fun with it and create a farming magazine. You can redesign the cover to your heart’s desire because it uses drag and drop in Flash! Please click the image or text link below to play. It’s pretty self-explanatory so I’ll let you discover how it works. Have fun! Since drag and drops are very fast and easy to make, I’d like to create more! It’s so much fun to collaborate with you that I’d like your input again. 3. Can marriage save your farm? The resulting magazine(s) will be posted by 1:30 PM New York City time on Saturday, March 17. The deadline is 12 Noon Saturday, New York City time. P.S. Wow, thanks for all your lovely comments you shared in yesterday’s fan interview about you! Looking forward to tomorrow! EDIT: Here are the links to the 2 magazines you designed. First John Standring magazine designed by YOU! Second and final John Standring magazine designed by YOU! This entry was posted in FanstRAvaganza, Graphics, richard armitage and tagged actor, fanstravaganza, graphics, john standring, richard armitage, richardarmitagenet, richardarmitagenet.com, richardarmitagenetdotcom, sparkhouse. Bookmark the permalink. Love the cover! The truth about the farmer’s daughter — well, she wasn’t from the Midwest, was she? Love the drag and drop cover! *sigh*….my John Standring!!!! Love the mag, bccmee. 😀 Will have to dig for my fave screencap now!!! @cdoart: Ooh, those are great suggestions so far, thanks! 😀 I eagerly await further submissions if you have time. 3. Hard worker and solid and honest type searches for likeminded partner to found family. @cdoart: A farmer’s dating magazine would sell really well with Richard Armitage on the cover, LOL! PLUS – What do YOU wear underneath? @tyme4t: Exquisite choices! That’s a nice view of John Standring. 😉 Thanks so much for playing and I look forward to adding your submissions to the next magazine! Love the magazine – Fun idea! @faboamanto – LOL! I almost chose that picture too! ahhh yes the gReAt minds of RA fans…..
Ha! That look on his face is priceless! @Faboamanto: Thanks for your contributions! This is going to be so fun! 😀 I am excited about adding some or all of these to the project. 4. Corner – Survey Results! OMG. This is too funny and toooo good. Creatively brilliant. LOL Love the post, love ALL your FanstRA 3 posts! You are creatively insanene 😉 You are the Dali of RA related graphics!!! John Standring! One of my favourite! Wonderful idea Bccmee to make a magazine about him! To choose only one capture is really difficult. 3. The Sparkhouse Home Brewing Kit. A fine ale guaranteed to add a spark to your love life. It’s a relief I’m alone at home and nobody can see what I’m doing!!! LOL… Loved to create a magazine cover!!! Now I’ll try to make a contribution, but my lack of criativity and poor English can be a problem!! So, feel free do make any change. I love your cover!!! LOL!!! 2. The Young Farmer Magazine. or The Golden Cereals Magazine. 3. The quick counting sheep- newest method. 3) Top Farmers’ Hairstyles: To Shear, or Not to Shear? @Everyone: Okay time’s up. 😀 I’m right on schedule and will have the magazine(s) ready by 1:30 PM New York City time! Thanks for all your lovely contributions. Make that “Farmers’ ” Ha! Ooh! I just realized that I missed the deadline. C’est la vie! Ha! Cheers! @Gratiana: Bummer that your excellent submissions are a bit too late. 😀 Thanks for the great ideas! I’m sure we can recycle them someday, LOL! THIS is HYSTERICAL!! We get Successful Farming, Progressive Farmer, Farm Journal, High Plains/Midwest Ag Journal, Livestock Weekly AND Drovers Journal…none of them come close to these. No sheep here tho. That pic on Standring on the cover of the Gourmet mag…I can honestly say, that’s THE only pic of an RA character that I hiccup on. 🙂 Great job as per expected, B! Love it! We should go out and publish these magazines with RA always on the cover! @Faboamanto: Totally! What a great idea you have. 😀 Thanks for your submissions too!